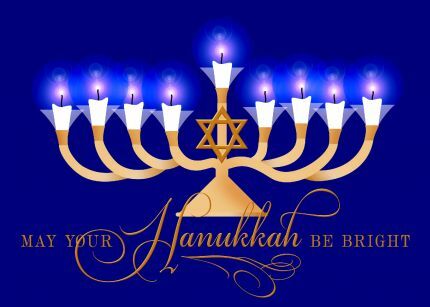 Hanukkah 2017 began at sunset (4:48 at the O’Connor Music Studio) on Tuesday, December 12 and ends today: Wednesday, December 20. • 1728 ~ Franz Xaver Pokorny, Czech Classical era composer and violinist. • 1898 ~ Irene (Marie) Dunne, Actress in Show Boat, Anna and the King of Siam, Alternate Delegate to the United Nations, Kennedy Center Honors Lifetime Achievement Award in 1985. • 1920 ~ An English-born comedian named Leslie Downes became an American citizen. He had lived in the United States since 1908 and became one of the nation’s true ambassadors for show business and charity. We say, “Thanks for the memories,” to Bob Hope. • 1928 ~ For the first time, a living actress in the United States had a theater named after her. The Ethel Barrymore Theatre opened in New York City. • 1932 ~ Al Jolson recorded April Showers on Brunswick Records. • 1949 ~ Harry Belafonte had his second session with Capitol Records. Included in the session were Whispering and Farewell to Arms. With eight tunes then recorded and little enthusiasm from record buyers, Capitol decided to part company with Belafonte by not renewing the singer’s contract. He went to RCA Victor in April, 1952. • 1952 ~ Jimmy Boyd reached the #1 spot on the record charts with the Christmas song of the year, I Saw Mommy Kissing Santa Claus. • 1972 ~ Jack Albertson and Sam Levine starred as two retired vaudevillians in Neil Simon’s classic comedy, The Sunshine Boys, which opened at the Broadhurst Theatre in NYC. The play had a run of 538 performances. The movie version later became a box office smash, as well. • 1973 ~ Singer Bobby Darin passed away following open-heart surgery at the age of 37. He left a legacy of memories in rock ’n’ roll and pop tunes, as well as on television and in movies (even an Oscar nomination for his role in Captain Newman, M.D.). The story of Darin being groomed to replace Frank Sinatra at Capitol Records is absolutely true. Unfortunately, Capitol didn’t think the grooming was going so well and withheld many of Darin’s songs for many years; releasing them in a compilation CD in 1995. Good stuff to listen to: Splish Splash, Queen of the Hop, Dream Lover, Mack the Knife, Beyond the Sea, If I Were a Carpenter, etc. At the end, Darin, who had recorded for Atco, Capitol and Atlantic Records had just begun recording for Motown. • 1980 ~ Shirley Temple Black became a grandmother. Her oldest daughter gave birth to a baby girl. • 2000 ~ Rob Buck, lead guitarist for the rock band 10,000 Maniacs, died of liver failure at the age of 42, three weeks after he collapsed at his home in western New York. 2004 ~ Blues singer-guitarist Son Seals, one of the most distinctive voices to emerge in the genre during the 1970s, died at the age of 62. 2004 ~ Italian soprano Renata Tebaldi, one of the great post-World War II opera divas who Arturo Toscanini said had the “voice of an angel,” died at the age of 82. This entry was posted in Christmas, Composers, Hanukkah, Holidays, musicians, Today in Music History and tagged Arturo Toscanini, Christmas Music, composer, conductor, drummer, Johnny Marks, singer, Today in Music History, video, violinist. Bookmark the permalink.